Bigg Boss 11 Poll Results: Viewers Want This Contestant To Get Evicted From The Show! Luv Tyagi, Puneesh Sharma and Bandgi Kalra- Who should leave Bigg Boss 11 house this week? Till now, the eviction inside Bigg Boss 11 house seemed to be quite predictable on the basis of contestants’ performances. Last week, the bold and outspoken Sapna Choudhary got evicted from the house. 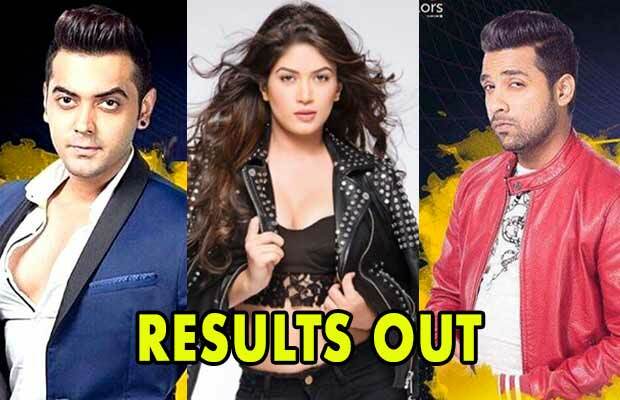 For this week, Bandgi Kalra, Puneesh Sharma and Luv Tyagi are nominated. As the show has entered its 10th week, one can’t guess who will be out of the house. Besides fighting with his fellow contestants since day one, Puneesh Sharma has been in the limelight over his closeness with Bandgi Kalra. From kissing each other to locking themselves together in the bathroom, the two are playing smart in the game. Well, only time will tell if the two are in love as a part of the game strategy. In fact, after Bandgi and Puneesh got nominated, the two left no stone unturned to stay in the limelight. From cutting Hina Khan’s hair to trimming Luv Tyagi’s head, they didn’t stop at all. As we saw in the latest episode, Bandgi and Puneesh were also locked up in the jail along with Arshi Khan as the worst performers. Talking about Luv Tyagi, he started performing in the show on an interesting note. He became one of the most popular ‘padosi’ contestants out of the four. However, he started fading away and turned out the most boring contestant. In the last couple of weeks, he made a comeback in the game. What do you think? Will he survive in this week? In the Business Of Cinema.com poll, where readers voted for their least favourite contestant, Bandgi Kalra has got the maximum votes. Our readers think that Bandgi should leave the house this week. Previous articleBox Office: Kapil Sharma Starrer Firangi First Day Opening! Next articleWatch: When Manushi Chhillar And Sushmita Sen Met Mid-Air!